The river level peaked on Sunday evening, starting to drop by yesterday morning. 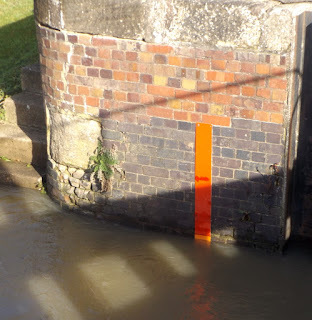 It rose enough for the flood warning lights to be lit and the navigation closed further downstream at Redhill, though. 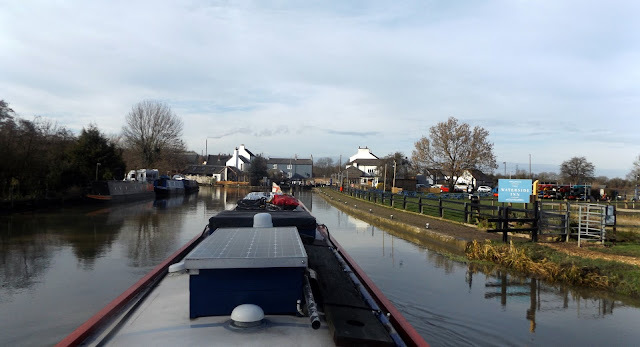 By this morning it was down to almost where it was when we arrived at Sileby, but running a bit faster. 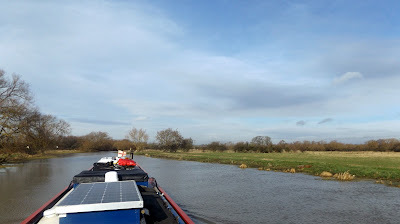 With the strong stream, care had to be taken on the bends not to oversteer, as the stern tends to be pushed across to the outside. 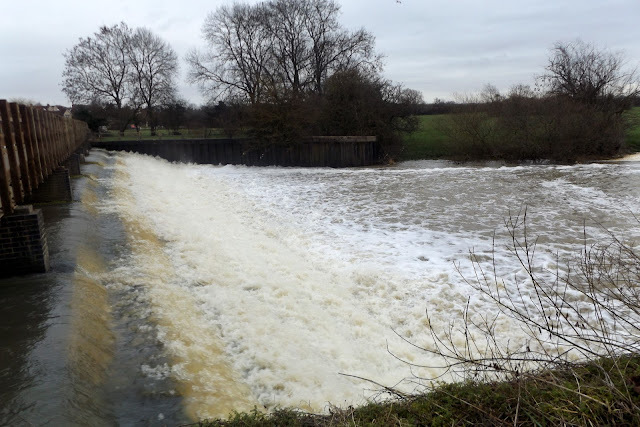 Especially if there’s a weir there too! Below the lock we had a quick chat with Mike and Jo, of NB Sarah-Kate. 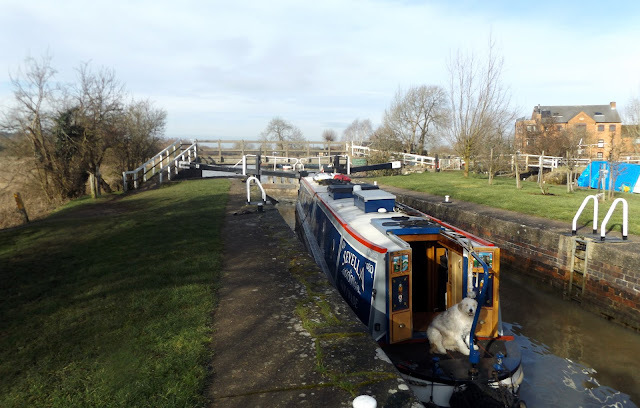 Not boating but doing voluntary tidying up around “their” lock. Good to see you again. It was Mike who left the anonymous comment, along with Stevefree, correcting my mis-identification of Bobby the Black-Headed Gull as Timothy the Tern on Sunday. 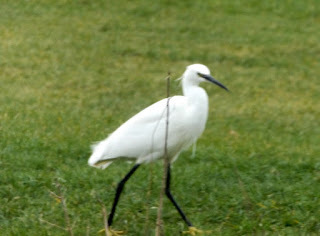 On firmer ground with this one, a Little Egret mooching about the shoreline as we came into Barrow.